The age-old ‘Nature vs. Nurture’ debate on leadership may never reach a definite conclusion but there’s more to leadership than acquiring the necessary skills required to become a leader. 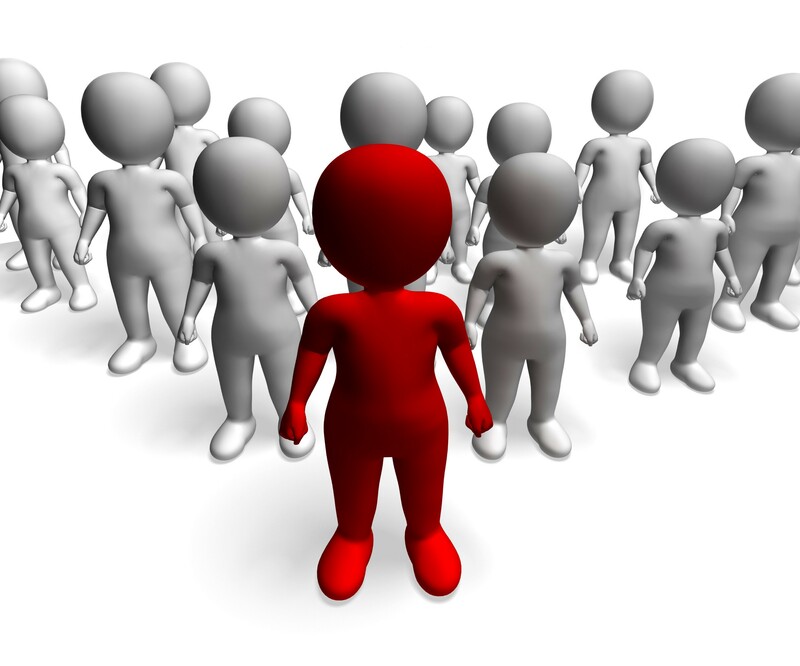 Leadership is not a black and white matter: each individual is different and so is their style of leadership but what makes a good leader great? It’s emotional intelligence. The road to corporate success is paved with unforeseen challenges every step of the way and that’s why the top-down dictator style leadership is no longer applicable in today’s evolving workplace. There’s a subtle difference between a manager and a leader — one that’s frequently misunderstood. Famous management consultant and author Peter Drucker once said, ‘Management is doing things right; leadership is doing the right things.’ The ultimate goal of effective leadership is to get results and while there is no surefire formula to achieving success, there are 6 distinct leadership styles that can be used to elicit a desired outcome in the workplace. A Harvard study conducted by Daniel Goleman in 2001 titled ‘Leadership That Gets Results’ in which 3,000 mid-level managers were put to the test to determine what it takes to become an effective leader. The results of this study outlined the 6 different leadership styles, each stemming from an element of emotional intelligence. Are You Aware Of What’s Going On Around You? A leader cannot make decisions with blinders on. Daniel Goleman’s impressive Leadership Styles outline the importance of one key factor — emotional intelligence. It is the ability to understand and manage one’s own emotions and those surrounding them. Leaders who possess a higher emotional intelligence tend to understand the situation well and make smarter decisions for success. A charismatic, emotionally intelligent leader can easily manage these five areas to run the workplace smoothly and successfully. Learn more about how you can conquer each aspect of emotional intelligence in detail here. Goleman used an interesting analogy to explain why leaders need to adopt a different style of leadership best suited to the situation at hand. Just like a golfer uses a different club for each shot according to the level of difficulty, leaders must also develop a strong understanding of the various leadership styles. An authoritative leader is one who has a clear long term vision for the organization and steers the work staff in the same direction. An authoritative leadership style is not always draconian — if you can strike the right balance between autonomy and guidance, your employees will definitely thrive and succeed in their endeavors. A visionary leader however, only lays out the map for his employees as to where they should be headed but does not impose his authority on how to get there. The authoritative style of management is associated to bringing favorable changes in the workplace when used correctly. The best time to use the visionary style of leadership is when you’re leading the organization through a crisis or bringing a drastic change to the management. The primary goal of the coaching style of leadership is employee development. The leader, in this case, acts as a mentor and works closely with the employees to identify their strengths and weaknesses. It helps the employees in turning their weaknesses to strengths through support and understanding from their superiors. Another key aspect of the coaching style is alignment of the employee’s goal with that of the organization. The coaching leadership approach works best when you want to increase overall work performance of a particular employee or department. Disagreement and conflict are inevitable in any work environment even ones where employee engagement is significantly higher. Affiliative leadership maintains harmony in the workplace by creating an emotional bond between the leader and employees. There is a common misconception that emotional bonding between superiors and subordinates may result in unprofessional conduct. However, certain work environments, especially ones where conflicts frequently arise, affiliative leadership can work wonders as it helps employees overcome personal challenges and rebuilds trust with the firm. As the name suggests, democratic leadership is a two-way street. It requires input, suggestions and participation from the team on different work-related matters. The laissez faire leadership style encourages teamwork, collaboration and creates consensus. Democratic leadership is best deployed when you require earnest input from your most trusted employees or in a situation when you need to build buy-in from your work staff. Leaders who follow the pacesetting approach set high performance standards deliberately to achieve short term goals like staying abreast with the latest trends. While this leadership style may be necessary to improve current standards, it often does more harm than good as it creates a highly competitive yet unhealthy work culture. Pacesetting requires the leader to set challenging short term objectives to spur performance and get quick wins but it is best to use this approach sparingly. Often called the top-down method or Military approach, coercive leadership is a no-nonsense, ‘do as I say’ method that leaves a detrimental effect on the organization’s work culture when used without restraint for a long time. It may spur performance in the short term but it kills motivation and creativity. Given the potentially negative impact of the coercive method, this leadership style should only be adopted during a crisis or when the firm is undergoing a major change. The tenets of leadership are not set in stone and so, you must gauge the situation and weigh the pros and cons before selecting any a particular leadership style or a combination of both. Goleman’s 2002 book ‘Primal Leadership’ co-authored by Annie McKee and Richard Boyatzis states that each leadership style is unique and meant to be used in certain situations only. For instance: visionary, affiliative, democratic and coaching leadership styles tend to have a favorable influence in the workplace as it promotes harmony and employee satisfaction. On the other hand, authoritative and pacesetting leadership styles may get things done effectively but will also promote a hostile, tense work environment that may eventually, kill motivation and creativity in the workplace. Please leave a comment or insights to express your views below!